The University’s Graduate Liberal Studies (GLS) program—the all-encompassing program for students seeking a post-bachelor’s degree—is partnering with the Alternative Route to Certification (ARC) program based in Connecticut. ARC, run by the Connecticut Office of Higher Education, offers courses in education and prepares students for teaching professions. ARC and GLS will be teaming up to provide all University graduate, and some select undergraduate, students the opportunity to become certified teachers. ARC’s primary focus is providing flexible courses for adults interested in becoming educators and preparing them for teaching certification. It offers multiple programs, one of which is a one-year, part-time pathway to certification. This program will be encouraged within the University’s graduate studies department for students wishing to become professional educators. The partnership was proposed by the University, and ARC accepted. Much of the value of a relationship between ARC and GLS lies in the necessity of a master’s degree to gain full teaching certification. With GLS, students can obtain a master’s degree, and via ARC, students can also gain a teaching certification. Director of Continuing Studies and Graduate Liberal Studies Jennifer Curran, who is a proponent of this partnership, noted the value of the new relationship in a recent News @ Wesleyan article. Curran, in an email to The Argus, also elaborated on the GLS program in conjunction with ARC. Students stand to receive additional benefits from this relationship. The University, as an incentive to ARC students, is offering scholarships that considerably lower the cost of receiving a master’s education. Likewise, students admitted to the University’s master’s degree program will have priority in selection for the ARC program. In this way, the partnership is mutually beneficial, with potential incentives available to ARC students to join GLS, and vice versa. This relationship also fills a particular void within the graduate studies programs, as the University does not currently offer teaching certification. While the University does offer an education minor, which centers around engaging students in a critical look at education institutions, the certificate does not provide course credentials for teaching certification. This is a lack that the partnership with ARC makes up for. The ARC program is also available to dedicated undergraduate students. The program requires sincere dedication. It involves a year of Friday afternoon courses, in addition to courses all day on Saturdays in Hartford, Conn. The program also necessitates a six-week teaching practicum in a public school. The efforts, however, culminate in a valuable certification, as noted by Curran. 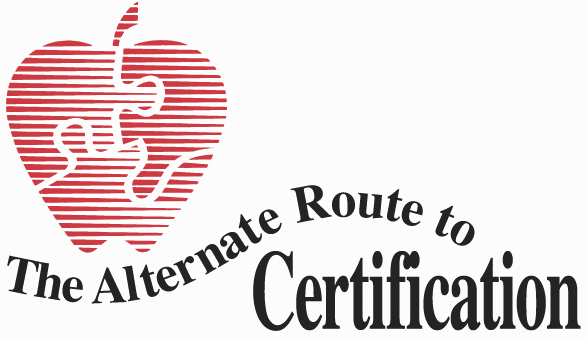 “[C]ertification is so rigorous in Connecticut, that it is often accepted in other states (the contrary is not true),” Curran explained. If you are interested in learning more, information can be found on ARC’s website or on the University’s education page.